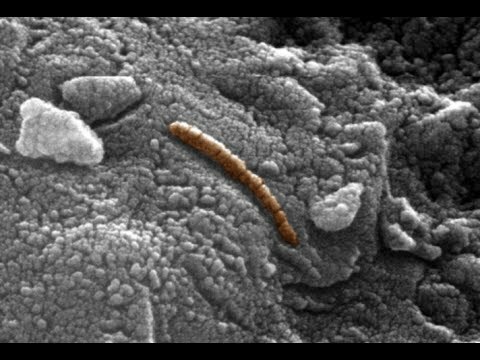 Evidence of life on Mars may have been discovered by Mars Rover. More test need to be performed to conclude life is or was there. Mysterious spikes of methane, that cannot easily be explained by geology or other theories, have been found by an instrument on the curiosity rover. Scientists cannot be sure what is causing the spikes, but it is possible, that it could be very small bacteria-like living organisms.”This temporary increase in methane — sharply up and then back down — tells us there must be some relatively localized source,” said Sushil Atreya of the University of Michigan. Ann Arbor, a member of the Curiosity rover science team. “There are many possible sources, biological or non-biological, such as interaction of water and rock.” Researchers used Curiosity’s onboard Sample Analysis at Mars (SAM) laboratory a dozen times in a 20-month period to sniff methane in the atmosphere. During two of those months, in late 2013 and early 2014, four measurements averaged seven parts per billion. Very useful inforamtion on ufos and aliens, i have book marked your site and look forawrd to more posts!